Think you’re a serious drone operator? Then you better take compliance seriously too. 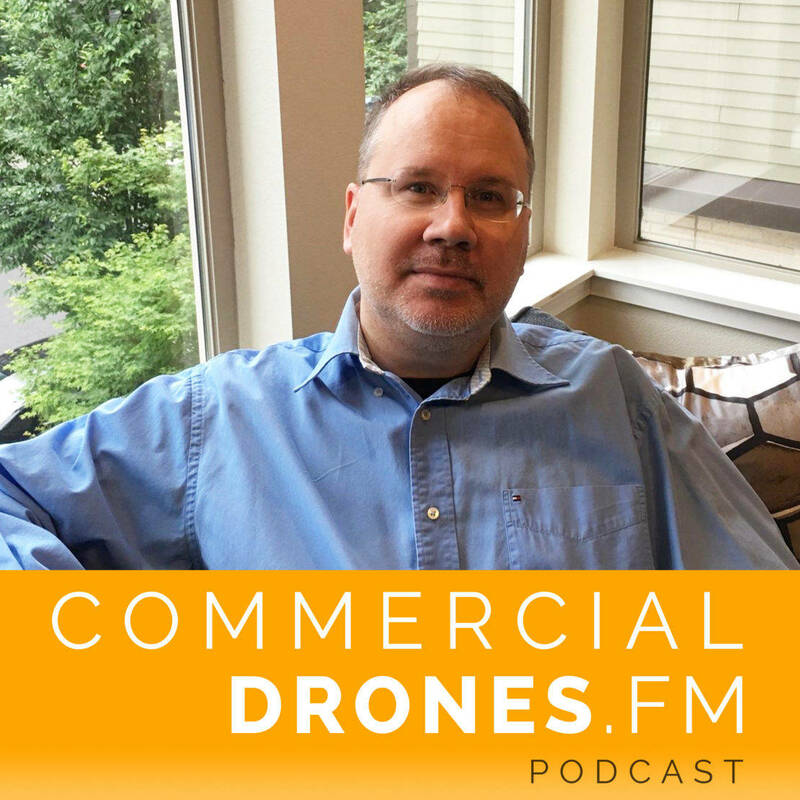 Eric Kubicka is a founding partner of DroneLogbook, software for flight tracking, logging, and drone compliance. At their peak, DroneLogbook users track thousands of flights per week. 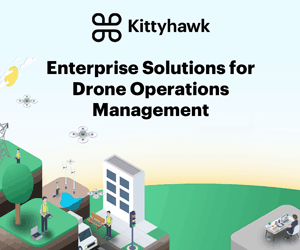 Eric and Ian discuss why compliance is important, trends with enterprise companies entering the drone space, and best practices for operational compliance in general. [00:00:00] [Advertisement]:This episode is brought to you by UpSonder, the easiest way to monetize your drone with the industry’s only Million Dollar protection coverage free to its members UpSonder is the top choice among certified drone pilots to get up and stay up to get started. Create your free listing today at upsonder.com. 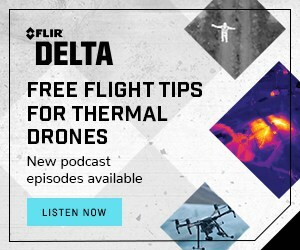 [00:00:23] [Introduction]: Welcome to Commercial Drones.FM, the podcast that explores the commercial drone industry. The people who power it and the concepts that drive it. I’m your host Ian Smith. [00:00:38] IAN SMITH: Hey everyone welcome to the show today, I’ve got Eric Kubicka with us one of the partners who run Dronelogbook which is a drone flight tracking flight logging and compliance company based in Portland, Oregon and also has offices in Geneva, Switzerland. Welcome to the show Eric. [00:00:55] ERIC KUBICKA: Thank you Ian, I appreciate, it’s good to be here. [00:00:56] IAN: Thank you very much for joining us. The first question I want to ask and so people are familiar with what we’re going to be discussing. So what is dronelogbook? [00:01:07] ERIC: Dronelogbook is a software application that allows commercial operators to plan their flights, track their flights, manage their documentation like risk assessment forms and checklists and manage that on a project basis to help with compliance. So should the time come when they’re audited. They’ve got all the documentation in a single spot and can easily generate the required reports. [00:01:34] IAN: That’s awesome and so what’s your background? How did you get into Dronelogbook? like where did you come from and how did you get into this into this industry? [00:01:41] ERIC: My background in information services in the construction industrial space and to make a long story short I was living in China for seven years and when I returned to the U.S. I was working with an ex-colleague in the construction space who had a dream project. So I said OK sounds interesting to me. I helped him out with that project. And the more work I did on it the more the space interested me because I could see the applications both from an information collection standpoint and just a business process standpoint. [00:02:11] I created a site called UAS Career Central just to stay in the industry and make connections. I built a directory on that. And as a result of that I met my partners at Dronelogbook. They’d started the business as morph just to provide it to the industry. And I said hey we can make a an operation you know something to support the commercial business out of this. You know what do you think. They said Hey great. Let’s go from there. [00:02:38] IAN: What did you call it? UAS pilot. [00:02:40] ERIC: UAS Career Central. [00:02:43] IAN: UAS Career Central.Is that still active today? [00:02:45] ERIC: It’s active right now, It’s not – the answer is yes it’s active but it’s not super – it’s not my priority. [00:02:53] IAN: Of course, of course. And so with that was it kind of like helping out with drone industry jobs are like finding pilots like a marketplace kind of thing? [00:03:02] ERIC: It wasn’t a marketplace it was more it was a free site that allowed companies who were hiring to post jobs for the drone industry as well as a director for companies that – so the directory ended up having 400 to 500 companies in it. So for companies who just wanted to get their name out there and so people can find them along with the job. So whatever the latest jobs were that were available also as a career portal. [00:03:23] IAN: That’s cool. So how how is dronelogbook being used currently? I mean everyone kind of thinks about compliance and you want to be compliant if you’re being a commercial operator. 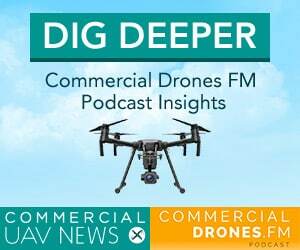 But how are most of your commercial customers or commercial users really like integrating drone logbook into their commercial drone workflow? [00:03:47] ERIC: What we’re seeing is we’ve got two sets of users. So we’ve got one group that’s that’s setting up a drone business and they’re planning to do work. So they’re registered but they’re not active yet. But we know they’re going to be active. [00:04:00] IAN: So they’re planning ahead they’re planning ahead. That’s great. [00:04:02] ERIC: So we’re seeing a lot of people that are saying OK I’m going to be operating next year. What items do I need to have ready to go? To go forward. So we’re seeing a lot of registration and we’re in communication with them so we understand what they’re doing. And then those that are operating now we’re a global platform so we see more activity out of Europe than the U.S. at this point just due to regulatory. The regulatory environments more advanced overseas. [00:04:26] ERIC: But those that are operating are using it to plan their missions to be able to track their flights because, what’s happening is once the operators are actually flying they go from. OK we’re going to do some business we might do 10 flights a week or 10 flights a month all of a sudden they start scaling up and they’ve got to manage a 100 flights a month, 150 a month and it’s episodic so they’re not busy every week. [00:04:53] It’s just when they’re busy all of a sudden they get tons of information in flight and paperwork they’ve got to manage. So it becomes a gigantic bottleneck in their day. So we’re seeing them when they do add flights it’s a lot at once and then it comes down again. But there are big numbers that are coming through. [00:05:10] IAN: So you just actually gave me a nice demo of the software and I got to say it’s it’s very comprehensive and it looks great from a commercial standpoint especially with some of the more in-depth features. I think like reporting and stuff which doesn’t sound terribly exciting I mean let’s be honest here I think everyone’s aware of that. [00:05:29] ERIC: It’s not exciting until you have to produce documentation for the hundred flights that you did. [00:05:33] IAN: Absolutely and so being able to kind of look ahead, like some of those other users are doing is really cool. So are you able to share maybe a range of like some of your most heavy customers like how many commercial? I’m just interested because if a big company not naming any names or whatever enterprise company is using the software they’re most likely compliant. [00:05:57] But like I mean I think I just want to get like maybe some insight into how many, like what are the big drone – commercial drone operators like how many flights are they doing? I mean do you have like a range of like we’re seeing, like ten thousand flights a month or something. [00:06:12] ERIC: Sure,we’re on the flight level. It’s slowing down because we’re entering the fall, in the northern hemisphere. But during the height of the season we’re running 3000-400 flights a week, commercially on the system. [00:06:26] ERIC: And the heavy users are – they range from inspection – film and video is the number one. So you companies that might do commercials or some kind of video production tend to be the heaviest users at this point. Agriculture is catching up just once again a timing issue as the industry adopts the technology but it’s commercial shooting film film and video and they have from talking to our users. Their customers require some pretty strict compliance and documentation and making sure that everything’s covered and that’s all documented. [00:07:03] IAN: You mentioned agricultures up and coming. What about like just general do you have any insight into like general surveying and mapping? I mean it’s cool that you guys have this all these data and you know how people are using commercial drones. So getting some more information from it straight from the source is interesting. What about? Do you guys track like just general mapping stuff or is it like you really pigeonholed into agriculture? [00:07:27] ERIC: Now we’ve got about 14 categories that are user select. So we have an idea of what they are doing everything from you know commercial film and video, inspection, agriculture, mapping and survey, emergency, scientific so we get a pretty good idea. The the AG industry, the survey – mapping and survey industries are there coming along. It’s the adoption rate in the industry overall is slower than in commercial film shooting. [00:07:56] So those guys who are doing the commercials for you know their paid clients. They see the technology advantage right away instead of a helicopter I can use this and I can manage it myself and the production costs come down. [00:08:08] For the other industries. What we found is 2017 – you know 2017 will probably be the first year full adoption by some people. 2016 we’re getting a lot of feedback saying hey we were going to test this we’re going to figure out you know. A lot of companies don’t even have their own internal processes down. [00:08:24] IAN: That’s something that you guys kind of help with too though with what was at the risk assessment document that you showed me in the in the software? [00:08:33] ERIC: Yeah. So we provide the tools they need for whatever processes whatever procedures they’re going to put in place. But what’s happening is, their internal compliance department – you know they’re making up rules now for next year. [00:08:46] ERIC: So you know for example of whether it’s an insurance company or basically somebody who has deep pockets who’s worried about making sure they do it right. [00:08:55] ERIC: Is spending 2016 getting all the internal procedures down. You know here’s our here’s how we do this. Here’s These are the procedures you need to follow going forward. So we’re seeing a lot of testing from what you would say you know your fortune 500, Fortune 2000 where their compliance department, their legal department is getting together with the drone operations department saying. How do we minimize risk? You know we’re not going out to market with full speed yet but, they’re all going through this testing phase. [00:09:24] IAN: So you mentioned, I think we were talking about – I think you already mentioned European usage for your product specifically is outpacing still at this time specifically United States. So you guys are available across the across the world. [00:09:42] ERIC: Across the world. [00:09:42] IAN: Yeah okay cool. And so when you when you see we’re talking about this earlier, enterprise companies, drone service providers. What are you seeing from the data that you guys are gathering on enterprise usage for commercial drones? You have like a nice insight that I really liked and I wanted wanted us to mention this. About how some enterprises are using drone service providers and maybe you could take that and run with it. [00:10:15] ERIC: What we’re seeing now is that you’ve got these companies, for example in the insurance space you see more and more trying to do it in house because they want to control the information. [00:10:27] IAN: Drone operations inhouse. [00:10:28] ERIC: Because they consider the data important- the security of data. Data security is important for them. [00:10:34] ERIC: For the enterprise guys you know I’ll go with and lets say power or you know some of those providers. You see a lot more reliance on the service providers coming in. And once again working within their procedures. But I think a lot of it has with they’re used to outsourcing. So you know oil-field services, it’s a gigantic industry by itself. So the big guys don’t expect to do everything in-house, so we’re seeing a lot more. [00:10:59] We see the communication because we talk to these guys, a lot more that is being outsourced once again not just to anybody but to a select group that either has a relationship within the industry that came from the industry but it’s a third party doing the work on a contract basis for these entities. We see the occasional enterprise in-house but not as much as you would think. [00:11:20] IAN: That’s what I think is really interesting is that we have a lot of drone service providers in the industry right now. And I think some of them are getting potentially not worried but, they’re paying attention to what’s going on like. Is everyone going to be doing this themselves? Am I going to be as a drone service provider like out of a job or something? But from what you’re saying I mean it’s looking like there are certain industries that habitually use contractors, use third parties and then some. You know I’m wondering if it’s also like I guess what’s the word I’m looking for here? [00:11:56] OK imagine if Chevron for example was flying a drone above a highway and they were doing some pipeline inspection that might be going parallel to that highway and the drone goes and it crashes into a car and the car hits another car and someone gets hurt really badly. All of a sudden Chevron is in the news and the stock price shoots – pop’s way down. Actually credit to that story goes to Patrick Egan of SUAS News because, I’ve heard him talk about that scenario a couple of times. Do you think that has anything to do with it as well? A little bit of. [00:12:32] ERIC: It comes back to what I was mentioning before. It’s – yes they don’t want people knowing what they’re doing yet because they’re all testing these platforms. It’s about getting the right compliance procedures and not necessarily our portion of it but just across the whole platform you know does the operator have the procedures in place? Is the equipment safe? [00:12:52] So different manufacturers and different pieces of equipment obviously have different standards regarding redundancy and you know – do you want this flying over your refinery? [00:13:02] ERIC: Question, so once again this comes back to the – they’re just getting their hands and a handle on what’s going on. So for the operators out there, you know what I would say is this is that. It never goes as fast as you want because, your bills come faster than your clients show up. [00:13:21] IAN: All those monthly service bills. [00:13:24] ERIC: Exactly. But we’re seeing the we’re seeing the pressure built so to speak in terms of there’s going to be more and more demand through the system because we can see it from our discussion, you know from what’s going on our platform and also the discussions out there. It’s building. The question is the speed, you know the market will be there. The question is it a 2017, is it a 2018. [00:13:46] ERIC: That’s to be determined. [00:13:48] IAN: What do you feel is one of the most useful aspects of your product? You guys have a ton of features. From a commercial drone operator standpoint. What do you think is one of the most useful pieces of it? One of the most useful features. [00:14:04] ERIC: I would say our ability to support the log files and bring in the telemetry data from multiple partners and platforms. [00:14:09] IAN: What’s telemetry data for the those who might not know. [00:14:12] ERIC: It’s the information about where was the drone, where did it fly, at was the altitude, what was the speed? [00:14:18] ERIC: That’s depending on the manufacturer, a lot of the drones don’t support that because, they’re not smart batteries but basically. How high did I fly? Can I prove that I stayed within the parameters? You know under 400 feet or whatever. [00:14:30] IAN: Outside of no fly zone. [00:14:32] ERIC: Exactly. So it allows the user to document you know within the platforms we support exactly where they flew and they’ve got an audit trail. The secondary portion. So, one is proVing what I did and two is being able to manage all this information and all these flights because, you’ve got you know the guys who are maintaining the higher level of compliance. [00:14:52] You’ve got a risk assessment forms and preflight checklists and you know I flew seven missions over two days. I did two different checklists. How do I sink, manage, find and keep that data in a format that you know I can get to it later? so it just doesn’t look like my desktop with 75 documents and you know 400 folders. So we make it very easy to find your information later on. [00:15:15] IAN: Love it. So as as mentioned before it’s not the sexiest thing ever but when someone comes a knockin and you can produce that audit file super easily it’s worth its weight in. However many bits and bytes are in there in gold. So just coming from the background of corporate aviation and aviation in general. I mean you know every little slip in the in the hangar, the aircraft hanger has to be documented if someone just fell and like you know hurt their knee or something. It has almost nothing to do with the actual flight itself but it’s happening on premise annd you have to document that kind of stuff so. [00:15:52] ERIC: And the other thing I would add is our reporting features allow you to say. OK you know, show me all the flights that this drone has taken with this pilot. So we can slice and dice the information in the system to create custom reports based on you know if a client asks for something or you need something internally or the insurance company asks for something you can create whatever basically whatever kind of report you want. [00:16:15] IAN: Has drawn logbook felt the effects of Part107 being live yet or do you think there’s a little bit of lag or what are you guys seeing? [00:17:01] IAN: Cool yeah. So I think we’re kind of seeing the same thing over in the photogrammetry space here. A little bit of lag but once it starts spooling up it’s just going to take off. So I think at the – on August 27, it wasn’t like OK go or was it 29? I can remember now things move so fast but. [00:17:23] ERIC: The other thing I would mention is what we are hearing from some of the training side is the numbers are really growing in terms of people going taking the test and the training portion of the industry. [00:17:33] IAN: Oh. Excellent, OK.
[00:17:34] ERIC: So it’s going to take a while for that to roll over down to our section of the industry because, we’re lagging to the training facilities. [00:17:41] IAN: For sure. So your product naturally, I guess trends towards those who are a little bit more or far along in their operations. [00:17:51] ERIC: Exactly and for us the other thing we’ve got coming is it’s winter in the northern hemisphere. Yeah. So we’re going to see – you know wehere the drop is coming just because, in the Midwest you can’t fly in a couple of weeks. [00:18:01] IAN: Exactly. Cool. So what do you see as far as looking into the future even further? Dronelogbook and other drone – you know just drone compliant software and flight tracking and logging In general. I mean you come from that data background, there’s already some really cool integrations that are there with all kinds of different data sources. 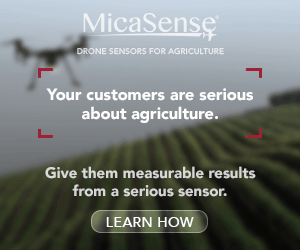 Where do you see your product or just drone compliance in general in the next two years? [00:18:31] ERIC: Well our our hope is that it gets integrated more and more with the manufacturers. The number one I’ll say complaint we get from the customers are that, there are so many suppliers in the industry that are not competitive. So for example the hardware guys versus the software guys but, there’s no integration between these platforms. [00:18:50] So our hope and what we think is going to happen is that you know the industry – the end-customer is going to get their voice heard and say look guys. Work together at least be able to move information seamlessly back and forth. You know my admin. time shouldn’t take more than my flight. [00:19:07] ERIC: On a project, so we see hopefully greater cooperation in the space. [00:19:12] IAN: Yeah, that would be really nice, just fly. Boom, all syncs up. [00:19:17] IAN: Great and what about the drone industry then? I mean where do you see – It’s in such a rapid period of growth. I keep trying to be conservative with where I feel like you know true actual drone delivery will be a delivery to my doorstep. I always think it’s a lot further along than it is. But all of a sudden you know things just start coming so crazy fast and you see the FAA being so ridiculously uncharacteristically cooperative. With the new drone committee and Intel CEO on there. [00:19:49] What about the drone industry in the next 2 to 5 years? I mean what are what are some of the things that you’re really looking forward to? [00:19:56] ERIC: Well I mean obviously I’m an optimist because that’s why I’m in the space. But my background coming from the industrial and the construction sector I’m sort of biased in that direction because, you know for example labor costs to do an inspection. You’ve got to put up scaffolding and and takes 4-5 days. I see a huge move in those areas because you can get a lot of information with a lot of sensors and decide whether or not you’ve got to commit the expense. You know it’s so a huge cost saving for that side of the industry. [00:20:25] So you’re doing a roof inspection on a building. You know somebody is not hanging over on a on a cable trying to find something, the drone can do 75-80 % of that today and still be within the right you know tolerances that you need. So really taking over a lot of those called dangerous, you know manual jobs that are expensive and take a lot of time. So that’s one of the areas, obviously agriculture is pretty well known at this point. And we’re also seeing a lot in terms of photo, you know commercial shoots. You for commercials and for film, just in terms of growth. [00:21:00] I hear the numbers that they expect, what the FAA expects 600,000 next year. I think that was the latest qoute. [00:21:08] IAN: There’s so many projections and things. [00:21:10] ERIC: I don’t think you’re going to get that many airborne that quickly. I just think the logistics aren’t there because the training has to catch up and some of the other areas. But I think the growth curve over the next five years, they’re going to be applications. We wouldn’t think of today. [00:21:25] IAN: That’s what I love yeah. [00:21:26] ERIC: That are going to occur so I think it’s going to be steady. I just push out the curve a little bit farther. [00:21:32] IAN: So construction, agriculture, mining and insurance. Those are the ones that are typically being talked about the most because there’s such a large market cap for that. Do you think two years? I think you mentioned two years for something like an inspection taking place. For now but, I think companies are already starting to do it. [00:21:51] ERIC: They’re testing today but, by two years I mean at the point where it’ll move the needle. [00:21:57] IAN: It’s like a no brainer, like oh yeah – you don’t have torn strategy, what? [00:22:00] ERIC: Yeah. I mean – it might be you know right you might see you half a percent or quarter percent of the market out there doing it. By two years you might see 15 or 20%, 25% of the of the inspections moving. The simple stuff that you can get done. That you know what the results set’s going to be. [00:22:15] IAN: I’m going to set a reminder and in 2 years, I’m gonna hit you up and then let you know what the latest projection is. I bet it’s going to be even more than that. I mean with the way things are going. [00:22:22] ERIC: I hope I’m wrong. I hope it’s higher. Adoption always takes slightly longer than you think it will. [00:22:30] IAN: Yeah. Cool. Well so what’s your. Eric, what is your favorite use case? It doesn’t have to be a unique use case but, somewhere some project maybe that you heard someone doing in the news or you know about it personally of someone. How someone has been using a drone commercially. [00:22:49] ERIC: The favorite that I’ve got comes out of the industrial space and it was somebody who did an industrial chimney inspection. So literally flew the drone right down the center of the chimney with LIDAR and did an internal inspection basically doing a 360, all the way down the inside of the chimney. [00:23:07] IAN: What’s the diameter on this chimney? [00:23:09] ERIC: I mean the industrial ones are you know four feet wide, at the top. [00:23:12] IAN: Wow. You know what kind of drone it was? [00:23:16] ERIC: I’m guessing it was a quadcopter of some kind. [00:23:20] ERIC: A hexacopter at most but, because of the LiDAR and the ability to you know to tell where it was spatially. [00:23:25] IAN: Wow, that is cool. [00:23:26] ERIC: It basically did a corkscrew, down through the bottom. This is I think a 180 foot – or something like that. So it managed to get done in, I think in one day what would have taken a week and a half. The other ones I like are the ones for the offshore. And once I get back to my industrial side, energy side – you know the companies that do the offshore inspection, for flare tips and things like that because, if you’re on an offshore rig you know shutting down an oil rig offshore is expensive and knowing what you need to do before you’re even out there you’re talking hundreds of thousands if not millions of dollars saved. [00:24:03] IAN: Isn’t it? I think I read somewhere? like a million bucks a day or something similar to that. [00:24:09] ERIC: I think that’s the number I heard also, somewhere around there. So you save three or four days times X thousands of rigs. [00:24:16] IAN: Unfortunately you can’t charge the company, a million bucks a day for that service. [00:24:22] ERIC: Luckily that’s not the business we’re in but, these are big savings for these companies. [00:24:27] IAN: Yeah. Oh that’s great. Cool. I really like the LIDAR case study or the use case that you’re talking about, that’s cool. Awesome, well thanks so much Eric for joining us. [00:24:38] You can go ahead and follow a dronelog book on Twitter @dronelogbook and visit their website www.dronelogbook.com. You guys have a free tier where you can start off and then you have a couple more paid tiers right? [00:24:50] ERIC: Exactly, there’s a free tier to start off and then a pro and an enterprise level. [00:24:54] IAN: Awesome, cool so I’m going to see you tomorrow at the Orange Silicon Valley. [00:24:59] ERIC: I will be there. [00:24:59] ERIC: Drone conference event, so maybe I’ll have some more stuff to report on from that. But thank you everyone so much for joining Eric and I today. Make sure to get involved in the conversation, I’m going to continue to ask this until more people are tweeting and Facebooking, and posting comments on commercialdrones.fm. [00:25:22] But really appreciate your time. We’ll be back soon with other episodes and more guests. So thank you so much. And fly safe.